Never Paint Again! Maintenance Free Handrail! 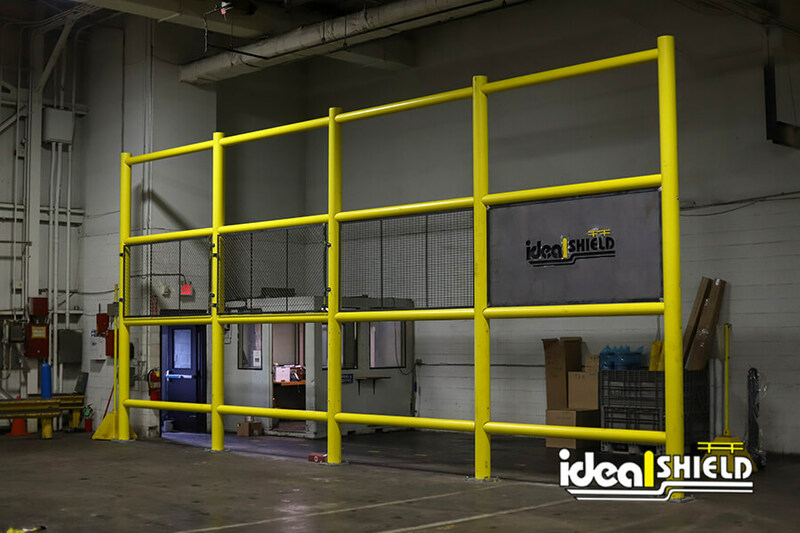 Ideal Shield Pipe and Plastic handrail system is designed to save both time and money. Ideal Shield’s unique Steel Pipe and Plastic Handrail System is made with schedule 40 and 80 steel sleeved in a durable HDPE plastic that is resistant to rusting, chipping and cracking. This maintenance free handrail will look new for years to come. Steel Pipe and Plastic handrail is built with aluminum magnesium fittings to provide quick installation and does not require field welding on site. This Ideal railing system will reduce maintenance cost. It is simple, clean, easy to install and affordable. Our Aluminum Handrail System is custom fabricated to meet your railing specifications. Our durable aluminum handrail offers the aesthetic and architectural benefits of galvanized and stainless steel railing at a fraction of the cost. This lightweight handrail will reduce your shipping costs while meeting all current safety railing codes.